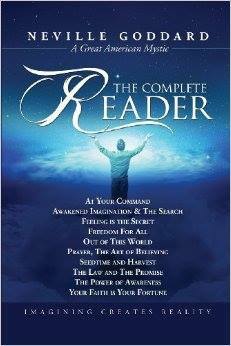 The Complete Neville Goddard Reader 10 Of Neville Goddard’s Spiritual Classics! “Higher Recommended Best Seller Neville Goddard Book : A Must Have Neville Goddard Collection In One Book. The Complete Neville Goddard Reader is put toghter by David Allen, It is also Includes 2 pages of note space after each chapter for notes and highlights. What David Allen has accomplished in this reader is not only the compilation of all ten of Neville Goddard’s ground-breaking spiritual classics, but the restoration of the original texts, removing any editorial additions, as well as extraneous text injected by overzealous editors or publishers. These are the words as intended by Goddard, pure and unadulterated. If you are familiar with this great American mystic, this will be a goldmine of spiritual wisdom in one book. If you are new to his writings, you are in for a spiritual journey that will last a life-time. Read this book not once or twice, but devour it with the fervor of a search for the Holy Grail. For if your desires are noble, and your quest is true, you will find what you seek within these pages. ← I Create What I Say!